The Dark Faerie: Featured in the On The Boomstick Blog.....! Check out my little feature on this delightfully witchy blog! Dana has graciously included a couple of photos of my art as well as a link to my Etsy Shoppe! 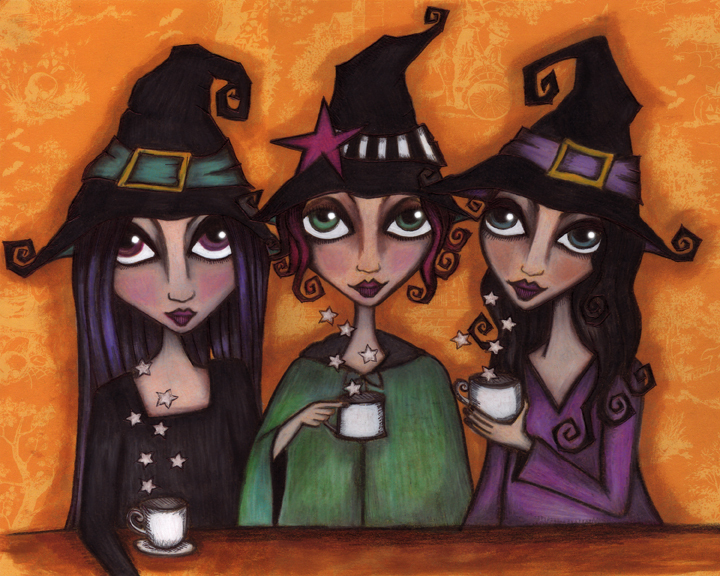 In return I will be giving one lucky person a signed print of my "Witch's Tea Party" illustration! Be sure to pay her blog a visit and enter to win!!!! Brightest Blessing and Happy Samhain!